The translation of these patch notes will be coming shortly. Since the patch will be live soon, we have opted to share the information as soon as we could. We apologize for the inconvenience. Take note that we will be releasing Patch 2.3 on March 30th for PC and our tentative date is April 5th for consoles. Thank you for your understanding. The main goal of Update 2.3 is to improve upon the Ranked experience as well as the general balancing of the game. We tweaked the falloff damage of Frost’s shotgun. The falloff previously started at 5 meters. It will now begin at 3.5 meters, making it roughly on par with the M1014. We have made this choice because Frost’s Super 90 had too much range, making Frost too powerful alongside her Nitro Cells and Welcome Mats. We have designed Buck with the intention of having him be a versatile Operator that is able to go wherever he desires. We do not believe that the state he currently is in reflects this. The initial intent was to use his underslung shotgun as a tool and not so much as a weapon. As the pros have shown us in the Pro League, it is working as a tool, but it could definitely be more efficient and useful. Therefore, we have decided to increase the environmental destruction of Buck’s underslung shotgun. As the following series of .GIFs show, it is now a better tool and will help you get where you want faster. For PC, we tweaked the SMG-11 in two ways: first, the weapon will not center back after a shot quite as fast as it did before (0.08 seconds -> 0.2 seconds). Second, the recoil will be more unpredictable now. We made that decision because we felt the recoil was too vertical, often giving easy headshots since that weapon’s rate of fire is very high. For consoles, we have increased the value for the rate at which the camera rises. We have roughly doubled that speed. What that means is that the player will have to compensate downwards more with the joystick in order to control the vertical recoil. We also applied the same tweaks to the vertical recoil as explained above for PC controls. We have increased the SMG-11's recoil for 2 reasons: the first one is a combination of the fact that the recoil is almost purely vertical and that you can put an ACOG sight on it. We consider this to be too good of a combination, and the Pro League's players seemed to agree, given their loadout selections for Smoke and Sledge. The second reason is simply that it is a secondary weapon. We hope that this will strengthen its role as a secondary weapon, and lessen its use as a primary. In the last patch, we had altered multiple spawn positions and covers within spawning location areas in order to ensure that players spawning within them are protected from the Defenders. Yacht: added an ice block to prevent spawn killing on Snow Mobile. 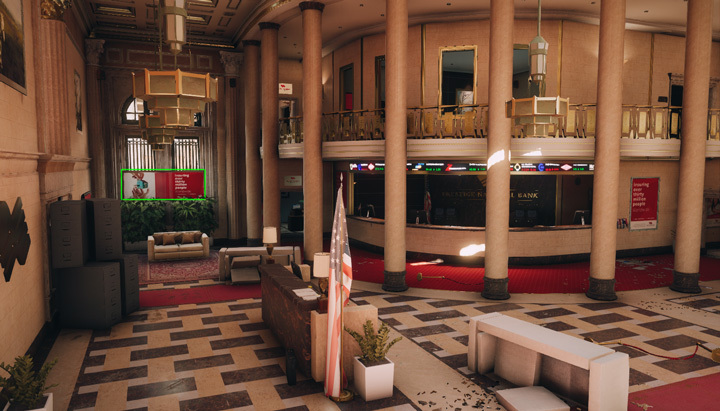 Bank: added an advertisement panel (2 windows in the Lobby) to block a spawn kill line of sight on the Street. While we do have longer-term plans, which we’re already working on, for improving on hit registration, we had some advancement with this latest patch. We’re glad to share that lag compensation has been improved in order to give the advantage to lower ping players vs. higher ping players. This means that the "peeker’s advantage" has been reduced and players who are hidden behind cover playing with a low ping will be less vulnerable to high ping players. We also have improved monitoring of hit registration so that we can better track and diagnose what to improve on further. Finally, several bugs related to hit volumes on characters, shields and barricades have been corrected. What this means is that from now on, what the players see and experience should more accurately reflect what actually happens on the servers. We are aware there are multiple issues at the moment with the Ranked playlist, and we’re working on several iterations to make this playlist what it deserves to be. The following fixes are the ones that could be delivered short-term, which we believe will have the biggest impact. Keep in mind that there are several other improvements in our plans for the future – read the top issues section of the known issues list, under ‘Ranked Matchmaking’ for additional information on said plans. Ranked matches will now only start if there are 10 players in the lobby. Our intention is that Ranked matches should be fair. Having matches start without having two full teams of 5 goes against the promise of this playlist. Therefore, we have altered the flow of Ranked matches so that if a players leaves during match countdown, the countdown will now reset. The lobby will stay open with the remaining players and the matchmaking will proceed to find new players to refill said lobby. UI: we will most likely hide some players information in the lobby, as we don’t think they’re necessarily relevant for this specific portion of the match flow. Abandon system: we’re investigating making it so that abandoning a lobby that is full will count as an abandon – there is additional development needs for this, which is why we couldn’t have this feature in time for this update. Ranked reconnection mechanics have been improved. Multiple reconnection bugs have been fixed. In most cases, when players disconnect involuntarily, the reconnection flow does not function as intended. We’re pushing lots of fixes in this update that we believe should address the biggest part of those bugs. We will keep monitoring and pushing this further. The reconnection flow has been reworked to triggered more frequently and easier to access. Our objective is to let players reconnect to their Ranked matches as long as they’re still running and encourage players to play them till the end. Reconnection now possible in all circumstances: the new flow will allow players to reconnect no matter how they got disconnected – even if they left for the main menu or quit the game. Force player commitment to Ranked matches: if a player leaves a Ranked match that is still ongoing, he or she will not be able to queue for another Ranked match. Selecting “Ranked” in the Multiplayer menu will reconnect him or her to the ongoing match, instead of launching matchmaking for a new one. Abandon penalty to be re-evaluated: if a player leaves a Ranked match and fails to reconnect before it ends, they will get the already existing abandon penalty, which prevents from queuing for Ranked matches for 8 minutes. Note that we do not think this punishment is strong enough to be fully effective, and we intend on increasing it in the future – but we need the reconnect system to be satisfactory before we can move to this step. The general philosophy for the Casual playlist since the launch of the game has been to favor quick matchmaking. We still believe in this philosophy, but we also see an opportunity to improve the balance between teams in matchmaking, for a more pleasant experience, while having little impact on waiting time. In the March 3rd server side update, we applied a first update to the casual matchmaking criterion. The main effects of this update are that the system now begins with a much stricter skill rating criterion, relaxes them very fast (exponential function), and ends with a cap (a maximum skill rating difference). If you’re in the middle of the skill ranks (Bronze to Gold), there should be a global improvement in the balancing of your Casual matches with very little difference in wait time. If you’re at the bottom or top of the skill ranks (Copper, Platinum and Diamonds), depending on where and when you’re playing, you might be waiting a bit longer on average than you did before. However, it should almost never happen that players will be matched against the other side of the skill rank range. Keep in mind that the Casual and Ranked skill ratings are different, and that squad matchmaking prevents us from avoiding extreme cases completely. In terms of average wait time, we’ve observed an increase of 7 to 10 seconds (depending on the platform, time of day, data center, etc). Other metrics like cancel rate (the proportion of requests that are cancelled) did not change. In terms of match quality, we’ve observed a very substantial improvement. Typically on PS4, when about 60% of matches had a team skill difference under 4, this proportion increased to 78% after the update (team skills are between 0 and 50) (the update impact is very similar for Xbox One and PC). Reconnection now available in Custom Matches. We’re introducing the ability to reconnect to Custom Matches in this update. The reconnect will work similarly to Ranked matches: no matter how players disconnect, as long as the match is still ongoing, they’ll be able to reconnect by getting back to the Multiplayer/Custom Match menu (pressing “Custom Match” will automatically reconnect them to the match). Note that it will be possible to abandon this Custom Match in order to create or join another one. However, if a player disconnects without abandoning, they will need to reconnect to the match in order to abandon it. This is a technical constraint, and not a design intention: we want to improve this by adding the possibility to abandon a Custom Match from the main menu in the future. Subsequent match within a custom-made playlist is now chosen when the players are returned to the Lobby. Note that the next match within the playlist is not selected automatically anymore and does not start immediately. The spectator camera now handles player deaths in a more coherent way. We changed the transition so that now when a player that is being spectated dies, it switches to a 3rd person view of said player dying instead of immediately cutting to the Tactical View, which caused confusion. We have intensified color highlights on player cards in order to help with team identification. By watching our matches spectated in the Pro League, we have noticed that the current Spectator Camera way of displaying teams could be clearer. Therefore, we have opted to intensify the player cards coloring. This is a temporary solution, as we intend to completely revamp the player information display for the Spectator Camera. For additional insight into our plans to counter cheating, read the ‘Cheating Concerns’ section of the Known Issues list. Please be aware that this is not an exhaustive list and that we are only highlighting fixes that were done about the most commonly raised bugs. 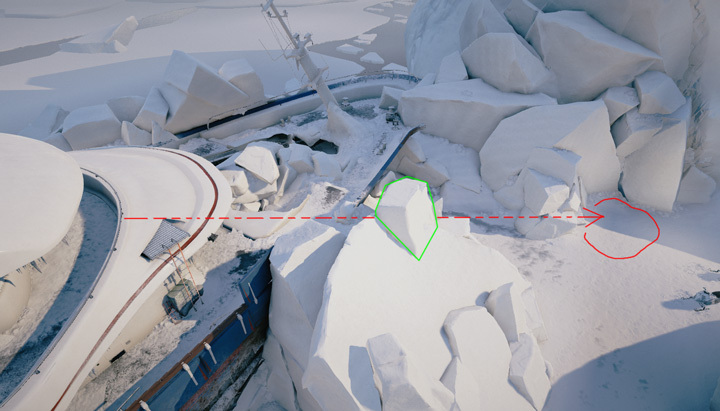 We have made some improvements to the placement of wall reinforcements to prevent gaps in some locations. 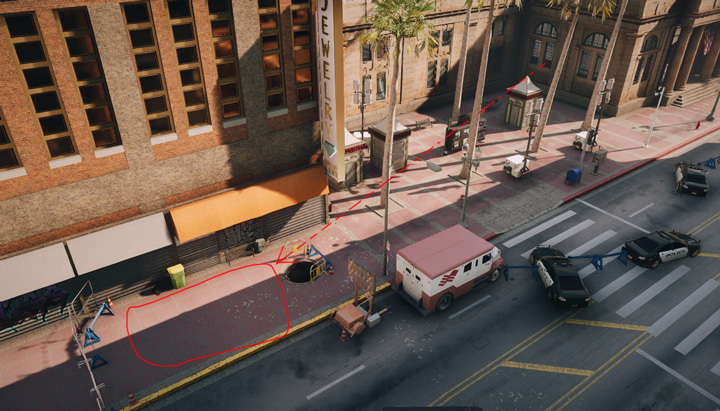 We are working on fixing all inconsistencies in barricades for future updates, but patch 2.3 addresses a lot of these. Moved the Flares in the front of the building, to more accurately represent the extraction trigger zone. If a player experienced this bug before Season 1 (patch 2.0) and has some Ranked progress, they may still experience this issue. However, the issue should be resolved after playing a few more Ranked games. We have opted to rework the data center grouping for XB1 for South East Asia. The reasoning behind this is that the matchmaking in this region was rather difficult for the players due to the low XB1 population in this region. The effect on the XB1 players from SEA after the change will be a worst ping than before but improved MM times and quality. Specifics: The data center that has been closed is SouthEast Asia (Singapore). The countries of more than 1000 people that will be the most affected by this change are Indonesia, Malaysia, Singapore, Thailand, and India. The data centers will be rerouted in order to offer better matchmaking quality than before. This will also improve matchmaking for Taiwan, China, Hong-Kong, Macau, South Korea, Philippines and Vietnam. We have applied IP protection in order to help protect our players’ information, preventing players from being able to access IP information of the opposing team’s players. Starting March 3rd, some PC players began experiencing in-game crashes more frequently than usual. We have identified the cause of this issue and our team has deployed a successful fix. Estimated Patch size: 617MB (may vary per platform). Thank you so much for being part of this with us and sharing your feedback. Next up: Season 2! Last edit: 3 years 3 weeks ago by FcUK_A.